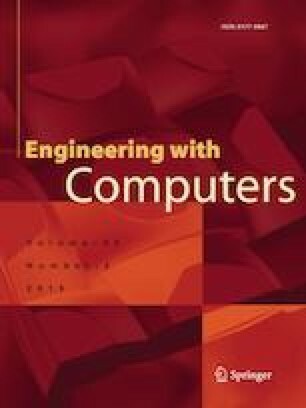 This paper presents the mixed mode propagation of circular delamination pre-embedded at the interface of 1st and 2nd plies of wingskin adherend of the Spar Wingskin Joint made with curved fibre reinforced plastic composite panels. Three dimensional finite element analyses of these joints under uniformly applied out of plane transverse load have been carried out using contact and multi point constraint elements. The growth of embedded delamination is simulated by sequential release of the constraints of these elements ahead of the delamination front. The inter-laminar stresses and strain energy release rate values being indicative parameters in delamination growth studies are computed in the vicinity of the curved delamination fronts. These values are evaluated using virtual crack closure technique. It has been observed that the circular delamination size significantly influences the magnitudes of inter-laminar stresses and the three components of SERR values in the vicinity of delamination front. Maximum values of peel stress and mode I SERR occur at orthogonal locations to the loading direction i.e. at θ = 90° and 270° measured counter clockwise from positive X-axis along the periphery of the delamination fronts. The variations of inter-laminar stresses and the values of SERR are non-uniform along the circular delamination front indicating variable rates of propagation. This simulation procedure will be used for the assessment of loss of structural integrity of the SWJs having circular delamination when the embedded delamination undergoes propagation upon increase of loading.